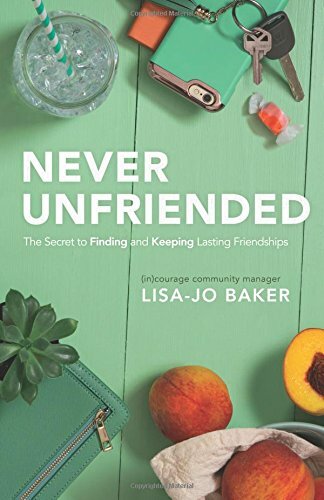 From the publisher: Starting with that guarantee from the most faithful friend who ever lived—Jesus—this book is a step-by-step guide to friendships you can trust. It answers the questions that lurk under the surface of every friendship—What are we afraid of? What can’t we change? What can we change? And where do we start?—with personal stories and practical tips to help you make the friends, and be the friend, that lasts. 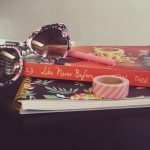 Ever since I found that first Lisa-Jo Baker article, I’ve called her my Internet BFF, the older sister who has gone before with all the wisdom that helps us feel not alone. She tackles today’s friendship, celebrating community among women and showing us how to be the friend our friends need. 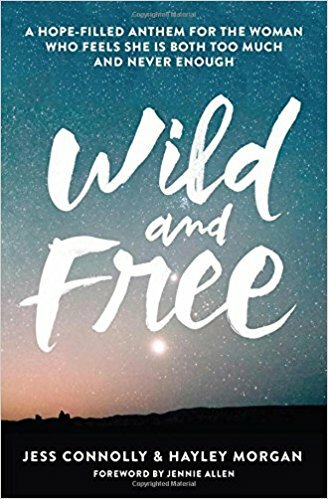 From the publisher: Wild and Free is an anthem and an invitation in equal parts to find freedom from the cultural captivity that holds us back, and freedom to step into the wild and holy call of God in our lives. 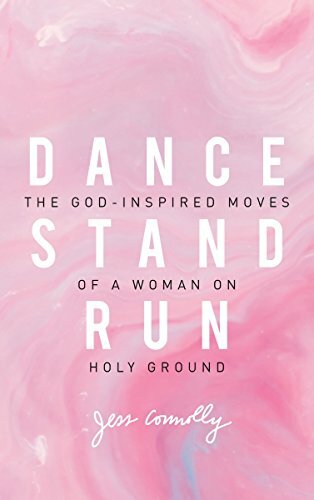 With fresh biblical insight tracing all the way back to Eve and a treasury of practical application, Jess and Hayley reveal how women today can walk in the true liberty we already have in Jesus. 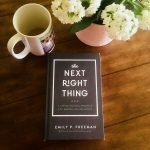 I loved this book and highlighted a truth bomb on every page. These women really know their Scripture and urged me to dig deeper to explore the way culture has shaped women and the way God intended us to be. Perfect for women who have ever felt like they are too much and not enough at the same time. 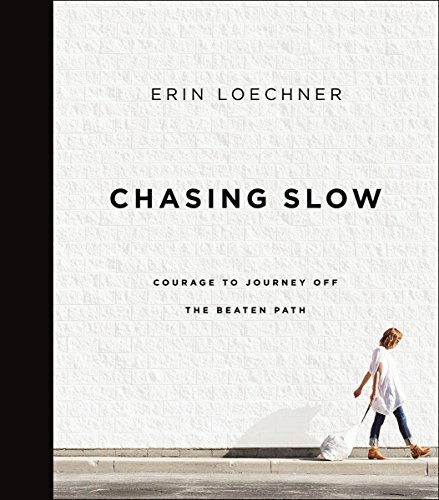 From the publisher: In Chasing Slow, Erin turns away from fast and fame and frenzy. Follow along as she blazes the trail toward a new-fashioned lifestyle—one that will refresh your perspective, renew your priorities and shift your focus to the journey that matters most. 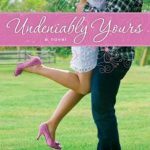 Since I loved Shauna Niequist’s Present Over Perfect, I didn’t know what I was going to take away from this book. But it’s much more of a memoir-style — and her voice. Wow. 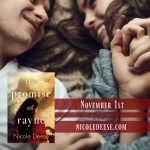 The writing style is filled with gorgeous metaphors and clever turns of phrase. 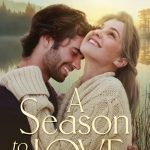 She illustrates what she learned about grace and surrender in a beautiful, artful way. Coming this fall: I’ve gotten to take a sneak peek at these books coming out in the fall. From reconcilation and peace to reclaiming holiness over cheapened grace, I promise you won’t want to miss them! In Shalom Sistas, Osheta Moore shares what she learned when she challenged herself to study peace in the Bible for forty days. 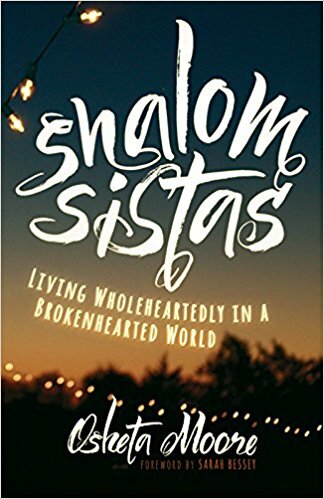 Taking readers through the twelve points of the Shalom Sistas’ Manifesto, Moore experiments with practices of everyday peacemaking and invites readers to do the same. From dropping “love bombs” on a family vacation, to talking to the coach who called her son the n-word, to spreading shalom with a Swiffer, Moore offers bold steps for crossing lines between black and white, suburban and urban, rich and poor. What if a bunch of Jesus-following women catch a vision of a vibrant, whole, flourishing world? 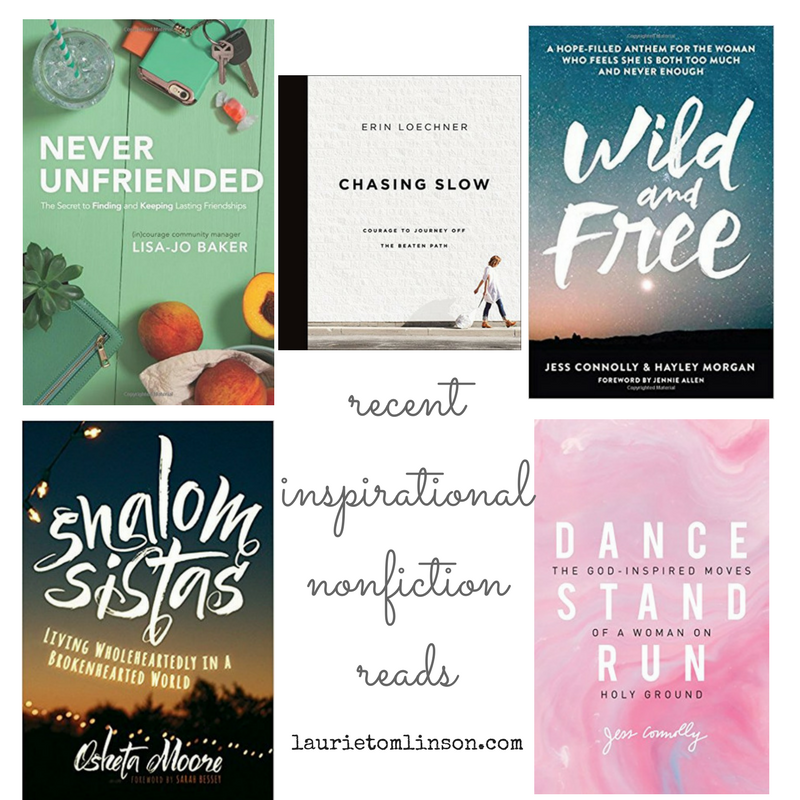 What happens when Shalom Sistas unite? 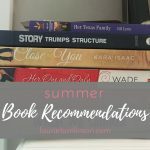 What have you enjoyed reading this summer?